Genuine, well-appointed lodging options. Wherever you choose to stay in Harrisonburg, you’ll find friendly folks to check you in and make sure your stay is pleasant. Many of the major national brands that you know and trust can be found in Harrisonburg. Some are located near the interstate while others are near a campus or downtown. If you prefer the coziness of a historic inn, need an extended stay or if you’re planning a wedding or reunion and need to rent a large space. Harrisonburg has you covered! Friendly Service by Nature! Harrisonburg, VA, is a “pet-friendly” city and the perfect place to travel with your pet. Here is a list of our pet amenities in the area. 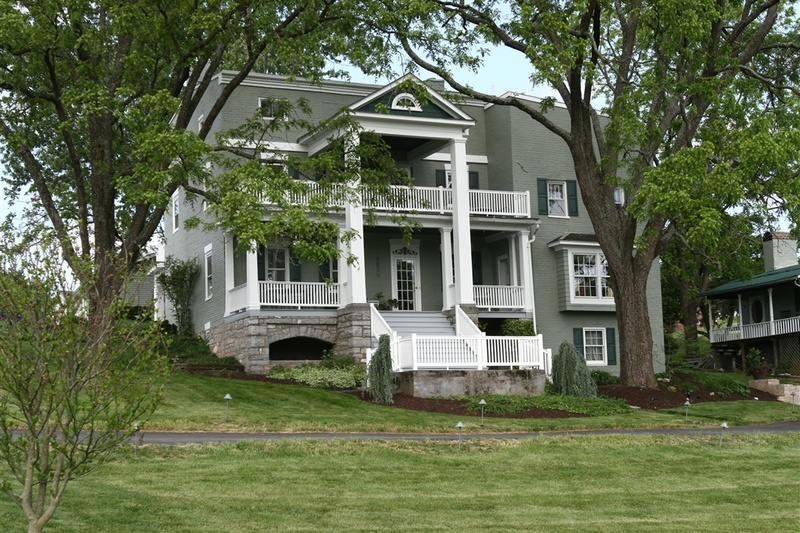 The Joshua Wilton House offers guests an oasis of quiet charm and gracious living in the heart of the Shenandoah Valley. 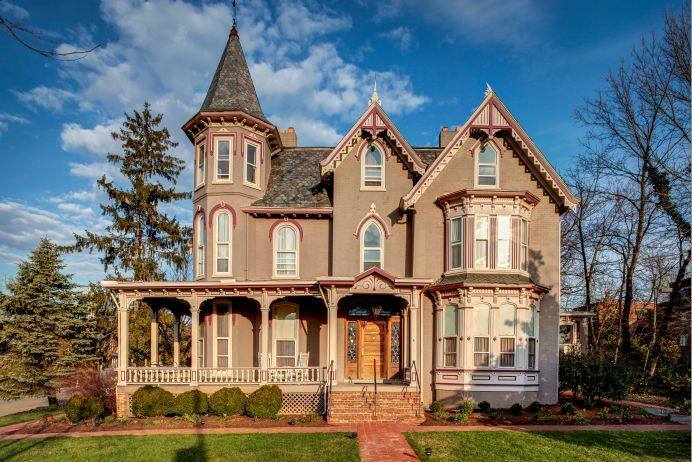 An elegantly restored Victorian home, the House occupies a corner in the historic “Old Town” district of Harrisonburg. The restaurant offers a unique Refined-Virginian menu—creatively contouring to seasonally fresh, local products. The former award-winning bed and breakfast, established in 1999, has been transformed into Harrisonburg, Virginia’s premier short-term rental property to serve your vacation Getaway Lodging needs. Five private cottages have mini kitchens, fireplaces and oversized whirlpool tubs. Our one-bedroom apartment has a full kitchen and sleeper sofa. The six-bedroom (all with private baths) Manor House is ideal for your group/family/couples getaway and accommodates up to eleven guests. Beautiful grounds with large fishing pond and deck and all the amenities expected in a high-end vacation lodging accommodation. More than just a room – everything you need to be productive or just kick back and relax. Fully equipped kitchen with full-size appliances, premium cable tv with HBO and DVD player, free local calls and personalized voicemail, high-speed internet and Wi-Fi, free onsite parking, and smoke free. The ideal choice for business and leisure travelers. Spacious suites, fully equipped kitchen with full-size refrigerator, microwave, and dishwasher. 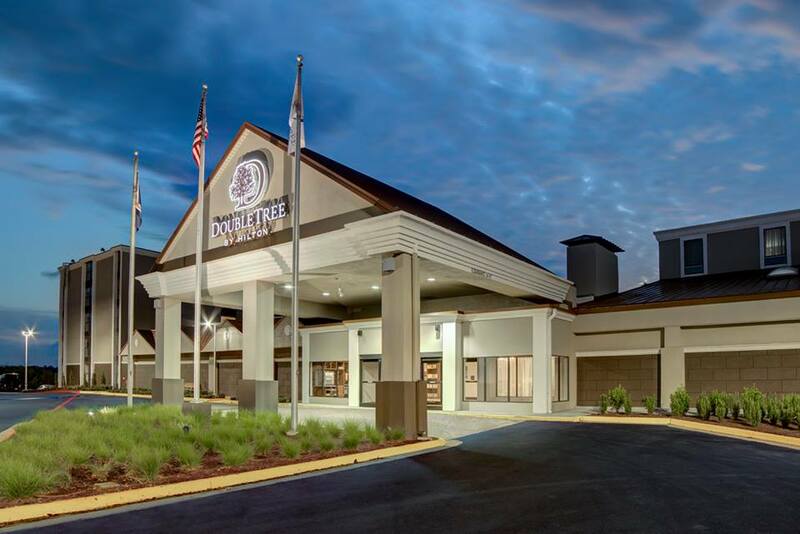 Free local calls, free high-speed internet, on-site convenience store & 24-hour fitness center. 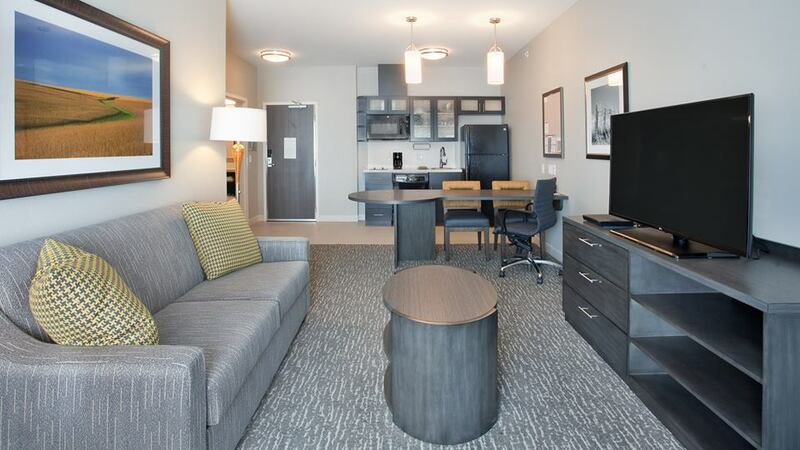 Hotel Madison’s well-appointed and custom-designed extended stay rooms provide a comfortable retreat to help you relax and recharge with modern amenities and essential conveniences. Featuring kitchenettes with a full-size refrigerator, stovetop, dishwasher and dishware. Hotel Madison is the only hotel located within walking distance to downtown restaurants, retailers and other businesses. 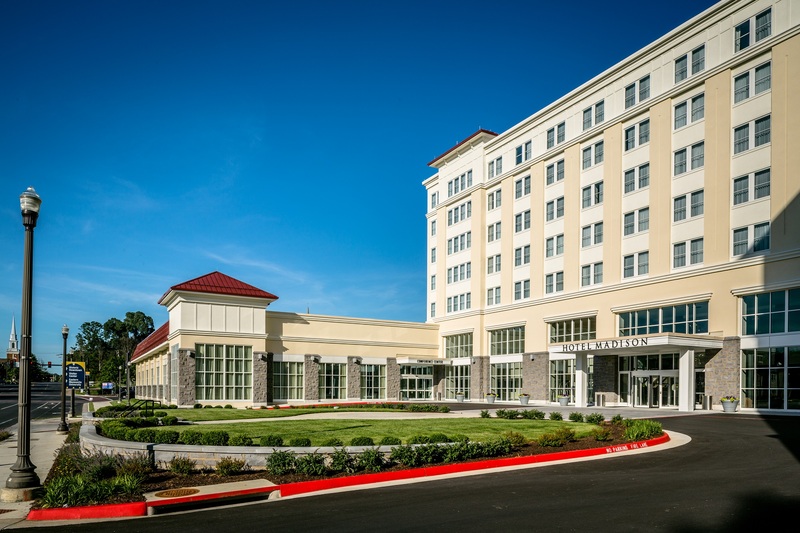 Harrisonburg’s upscale extended stay hotel! Excellent for the business traveler or the relocating family. Concierge service at the front desk, a 24-hr Market in the lobby, complimentary grocery shopping service, free local and USA Today newspapers daily, full service kitchen in all suites, and salt water pool along with a relaxing hot tub available. Bring your dog because our hotel is pet friendly! Within walking distance to local restaurants and shopping. Valley Suites offers fully equipped kitchens, luxury Queen size bed, iron and ironing board, free high speed internet, and digital cable including HBO/ESPN. Just off of I-81, the Comfort Inn features a complimentary HOT breakfast and free WIFI. Relax at the outdoor heated pool or workout in the 24-hour fitness room. 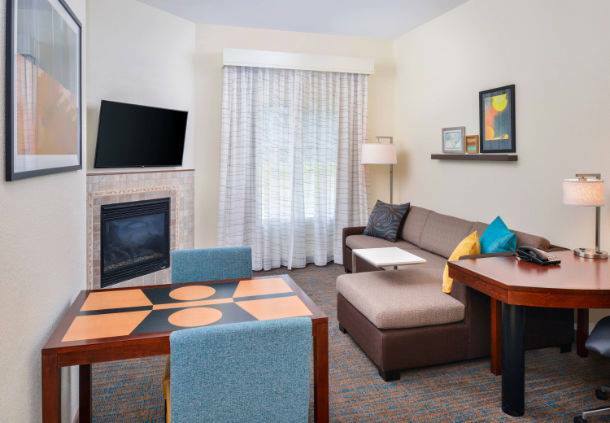 Each room includes a refrigerator, hairdryer, coffeemaker, iron/ironing board, desk and cable television w/ HBO, ESPN. The hotel is also pet friendly. The hotel is 100% smoke-free and offers a heated indoor pool, fitness center, and a 24hr Business Center! All of our rooms include refrigerators and microwaves. Offering a free deluxe breakfast bar, free local phone calls, and a complimentary newspaper. Our hotel is blocks from JMU, ten miles from Massanutten Resort, close to the Shenandoah National Park, and Luray Caverns. The features include spacious rooms with free Wi-Fi and 32″ flat-screen TVs. Our modern lobby boasts 2 meeting spaces, a business library and touch-screen TV. 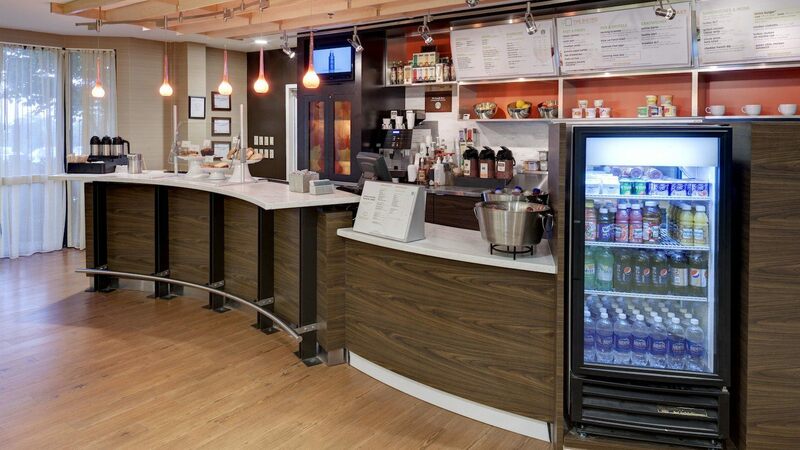 The Bistro offers delicious breakfasts and dinners, beverages from Starbucks and full bar. Unwind in our indoor pool and fitness room. Visit our 24-hour market for a snack and then fall into a plush bed. Days Inn offers free deluxe continental breakfast, an indoor pool, spa, complimentary Gold’ s Gym, cable television including HBO and sports. 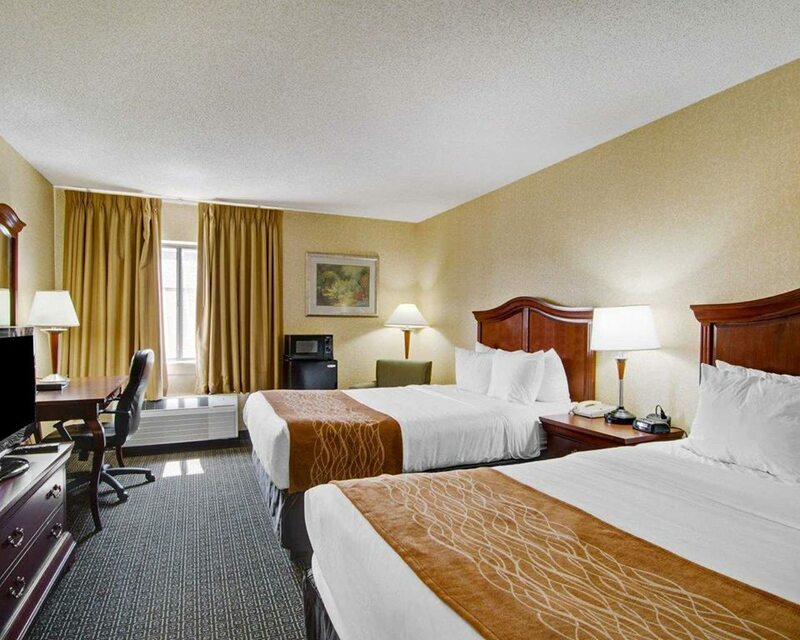 Conveniently located off of 1-81, our hotel offers easy access to area universities, colleges, and Historic Downtown.  We are minutes from Virginia’s first Culinary District and the Arts & Culture District in Historic Downtown. Choose one of our beautifully appointed guest rooms and enjoy comfortable accommodations, complimentary WiFi and a warm DoubleTree Chocolate Chip Cookie. Econo Lodge offers free continental breakfast, wireless internet and seasonal outdoor pool. Some rooms come equipped w/ microwaves, refrigerators, coffee makers, irons/ironing boards and hair dryers. Pets less than 25 pounds. Fairfield Inn & Suites by Marriott has spacious suites featuring separate living areas, microwave, coffee maker and free high-speed internet. Enjoy a great night’s rest on luxurious bedding, a complimentary hot continental breakfast and a workout in our 24-hour exercise room. Hampton Inn South offers a complimentary deluxe hot continental breakfast bar and in-room amenities include: coffee maker, hair dryer, ironing board/iron, dataport, remote control color TV with cable/HBO, and free local calls. Free high-speed internet access. Just blocks from JMU and walking distance shopping and dining venues nearby. 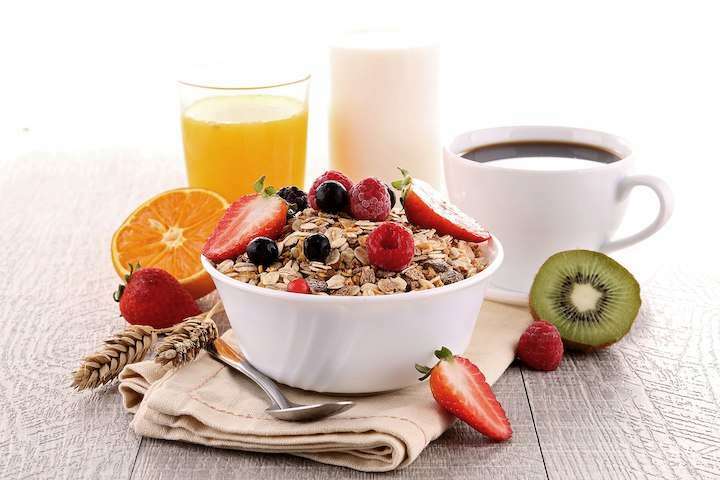 Hampton Inn University offers a complimentary deluxe hot continental breakfast bar. The room amenities include: coffee maker, hair dryer, dataport, and TV. Outdoor pool and complimentary pass for Gold’s Gym during your stay. Minutes from local colleges. Rooms with Simply Smart Bedding Collection, cable TV/HBO, pay-per-view services, microwave, refrigerator, high-speed internet. 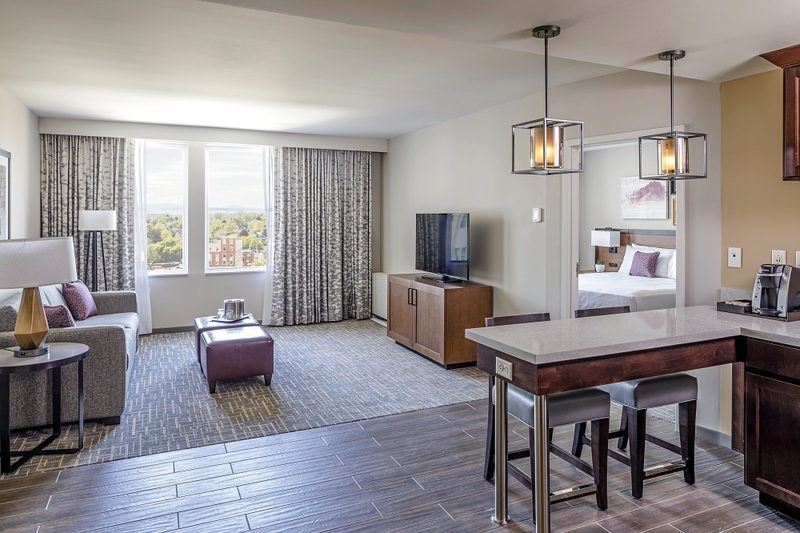 The only downtown Harrisonburg hotel, Hotel Madison’s 230 guest rooms provide a comfortable retreat to help you relax and recharge with modern amenities and essential conveniences. Offerning multiple room types, including deluxe guest rooms, suites and extended-stay rooms with fully-equipped kitchens and dining areas. Pet-friendly, on-site restaurant, 24-hour fitness center and indoor pool available during your stay. 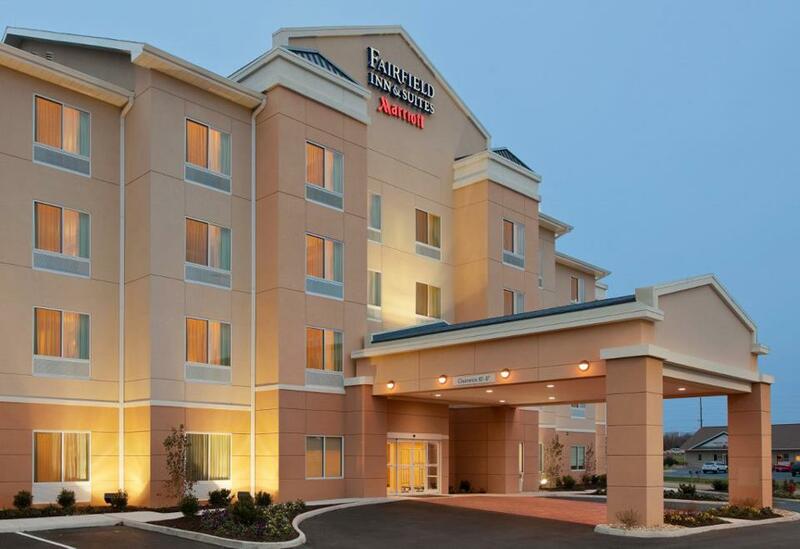 Welcome to our Howard Johnson by Wyndham Harrisonburg hotel. 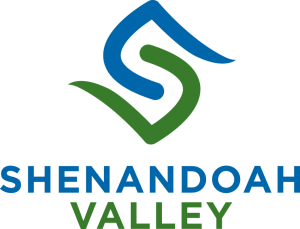 We’re conveniently located off I-81 and Route 33, providing easy access to James Madison University along with many Shenandoah Valley attractions. 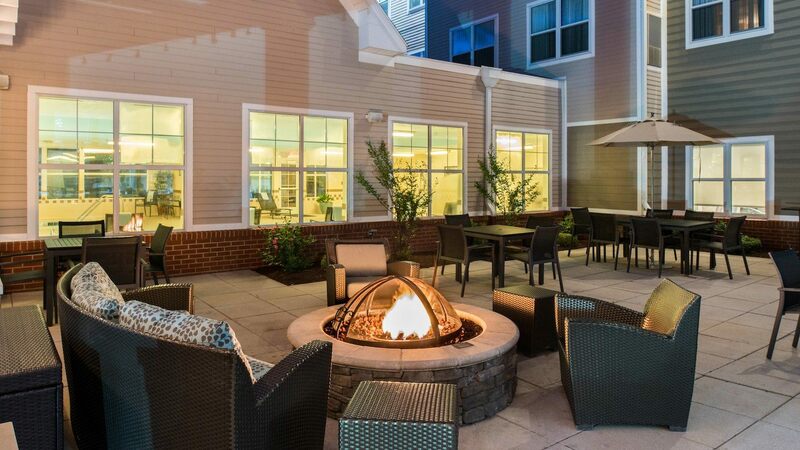 Throughout your visit, enjoy amenities like free breakfast, WiFi, on-site parking, and our seasonal outdoor pool. Choose from our elegantly decorated spacious suites or standard rooms. The Microtel Inn and Suites is your Best Choice of Harrisonburg Hotels and is pet friendly. Located off I-81, Motel 6 offers free morning coffee, local calls, Non-smoking rooms, an outdoor pool and kids stay free. WiFi available. Pets Allowed. Enjoy a complimentary breakfast, business center, free USA Today (Monday-Friday), fitness center, and outdoor swimming pool. 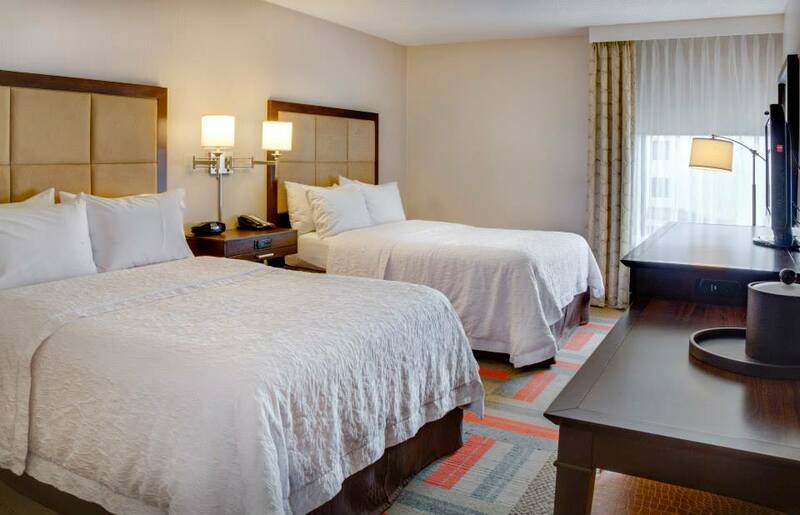 Spacious rooms include comfortable beds, free WIFI, and flat-screen TV. Our complimentary amenities include hot breakfast, seasonal pool, and fully equipped kitchen. Bring your dog because our hotel is pet friendly. Enjoy concierge service at the front desk, a 24-hr market, complimentary grocery shopping service, free local and USA Today newspapers, full service kitchen in all suites, and salt water pool along with a relaxing hot tub available. Bring your dog because our hotel is pet friendly! Spacious and comfortable accommodations. Complimentary deluxe continental breakfast. Guest rooms and suites offer a coffee maker, iron/board, refrigerator, microwave, hair dryer, and fee internet. Near the Rockingham County Fair Grounds, the hotel offers internet access in all rooms, Super Start Breakfast, HBO/ESPN. Valley Suites offers fully equipped kitchens, luxury Queen size bed, iron and ironing board, free high speed internet, and digital cable including HBO/ESPN.